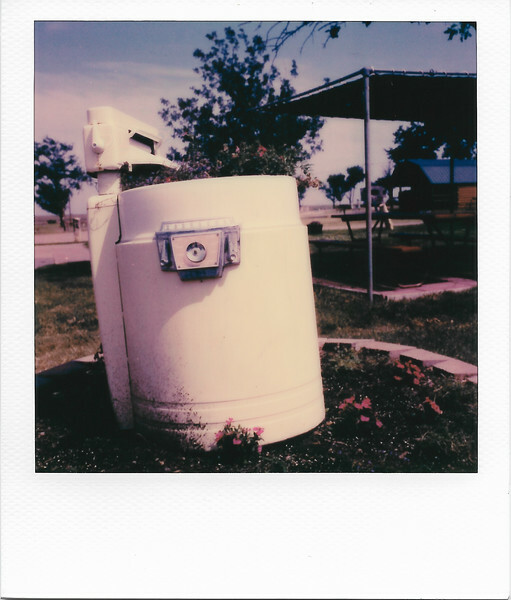 June 13, 2018 - Polaroid Originals 600 Color Film with ND sheet. Old wringer washer re-purposed as a flower planter. WaKeeney KOA, WaKeeney, Kansas.